By connecting our growth stack, we personalized messaging at scale for hundreds of thousands of customers and doubled our engagement rates. Founded in 2008, New Relic is a leading software analytics platform that provides up-to-the-minute insights to empower software companies to innovate faster. More than half of the Fortune 100 trust the company to help them build, iterate, and deploy faster and more effectively. In addition to serving enterprises, New Relic also services many SMB to mid-market accounts that are just as important to the company’s bottom line. However, the company needed to deploy its limited customer-facing resources to its highest-value accounts...while still providing an excellent user experience for its smaller- and mid-sized customers. New Relic had more than 100,000 accounts in its SMB and mid-market segments, each with multiple users. And each of those users corresponded to a different persona: product managers, front-end and back-end engineers, executives, and many others. But the growth team also needed to message to different customer lifecycle stages across the customer journey, from pre-sales to onboarding to post-sales support. Essentially, the team needed personalization along two different axes: customer persona and lifecycle stage. It realized this type of messaging strategy should be foundational for all customer segments, not just its smaller accounts. New Relic was already capturing behavior and usage patterns using its customer data platform Segment and was also recording major account changes in its system of record, Salesforce. But actually transforming this data to deliver personalized messaging at scale through Intercom and email would be an entirely different project. Obviously, any kind of manual methodology was out of the question. Which meant that Fogt’s team would have to decide whether to build or buy a solution. “We’re fortunate to have extremely talented engineers. But like our customer support team, there are only so many of them, so we need to deploy them in the best way possible,” explains Fogt. Instead of committing valuable development resources to build an internal solution, Fogt and his team chose to search for another way to transform its customer data into personalized messaging, which led them to Tray.io’s General Automation Platform. The New Relic growth team partnered with Tray.io’s customer success team to integrate customer data from Segment and account data from Salesforce into a centralized data warehouse, Redshift for data warehouse. 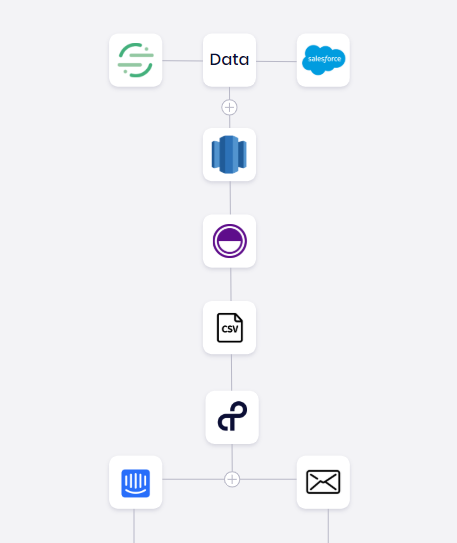 To connect these applications, the team built an automated workflow on the Tray Platform to bi-directionally sync customer data among them. The New Relic team tracked updates to customer records, such as a late-stage lead converting into a closed-won deal in Salesforce, or a new customer logging into the company’s platform for the first time as logged by Segment. The company then layered its analytics solution Periscope Data onto on top of its data to create real-time reporting for user changes, and export to CSV format. The workflow also integrated this data on the back-end on a regularly-scheduled basis to update and tag customer accounts for personalized messaging to be delivered via Intercom. On the front-end, when new customers log into the New Relic platform, they’re greeted with personalized first-time welcome messages, new product feature descriptions, or new-user product tips. New Relic observed a measurable increase in engagement. “By connecting our growth stack, we personalized messaging at scale for hundreds of thousands of customers and doubled our engagement rates,” says Fogt. In addition to increasing open rates 2x, New Relic also observed a 6x increase in click-through rates. The company was also able to better segment its customers to ensure high-value accounts were prioritized for customer support, while smaller accounts received an outstanding self-service experience. Fogt and his team already future-proofing New Relic against constant market changes with specific roles to manage automation-based responsibilities. 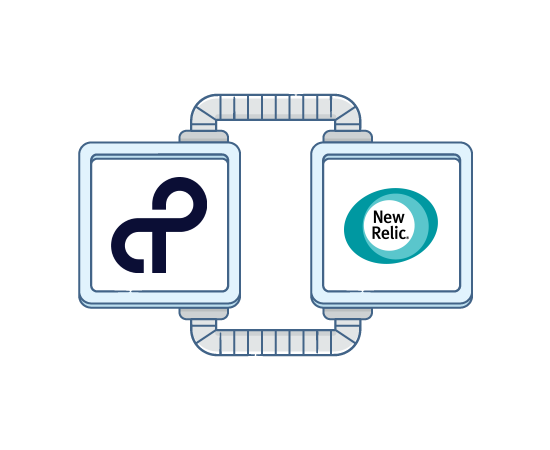 Learn more about how New Relic uses Tray.io’s General Automation Platform in this in-depth webinar.